Benjamin Hulett is well known to the audiences of Canterbury Choral Society. He has performed Rachmaninov’s The Bells, Bach’s St Matthew Passion, Haydn’s Nelson Mass, Tippett’s A Child of Our Time, Monteverdi’s 1610 Vespers, Bach’s B minor Mass and Handel’s Israel in Egypt and Messiah. Ben also sings tenor in Benjamin Britten’s War Requiem in Canterbury Cathedral on 26 October 2013. Ben is currently reading for a Master’s degree in Musicology at Oxford Brookes University. He trained on the Opera Course at the Guildhall School of Music and Drama and as a choral scholar at New College, Oxford. He was principal tenor at the Hamburg State Opera from 2005-2009 and has made debuts in major roles at the Salzburg Festival and Baden Baden Festivals, Theater an der Wien, Bayerische Staatsoper Munich, Opera Holland Park and Opera North. Ben will make his debut with Welsh National Opera as Tamino in Mozart’s Magic Flute and with the Royal Opera House, Covent Garden in Puccini’s Manon Lescaut. Ben appears on many discs and DVDs and was involved in the Gramophone Award winning NMC Songbook project. His recording of works by Richard Rodney Bennett was a finalist in last year’s Gramophone Awards. His premiere recording of Gouvy’s lphigenie en Tauride received the highest honour from the French recording industry, the Orphee d’Or. His first recital disc, entitled Departures, is currently being feted by the international press. Future releases include further recital discs, Kalitke’s Die Besessennen, Beethoven’s Missa Solemnis with Phillippe Herreweghe, Mendelssohn’s edition of Acis and Galatea, Handel’s Alceste for Christian Curnyn and Strauss’s Salome on DVD. 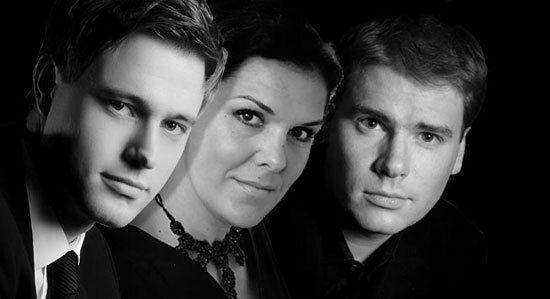 Benjamin Appl is a German baritone performing opera, concert and recital repertoire. Opera performances include Ernesto in Haydn’s Il mondo della luna in Augsburg, Minister in Strauss’s Wiener Blut in Munich, Dr Falke in Strauss’s Die Fledermaus in Regensburg, Schaunard in Puccini’s La bohème in Munich with the Munich Radio Orchestra under Ulf Schirmer, and Baron Tusenbach in Eötvös’s Tri Sestri in the Prinzregenten Theater, Munich and at the Deutsche Staatsoper, Berlin with the Staatskapelle Berlin. Recitals include the 2010 Ravinia Festival, Chicago, Graham Johnson’s ‘Young Songmakers Almanac’ in London, his debut at the prestigious festival ‘Heidelberger Frühling’ 2011 and appearances at De Singel, Antwerp. He was awarded the Deutsche Schubert Gesellschaft Schubertpreis following his appearance with the 2012 Klavierfestival Ruhr, Herten, with Graham Johnson. Now living in London, Benjamin Appl studies with Rudolf Piernay at the Guildhall School of Music and Drama.